My name is Nieves Montaño, and I am a visual storyteller in Tucson, Arizona. 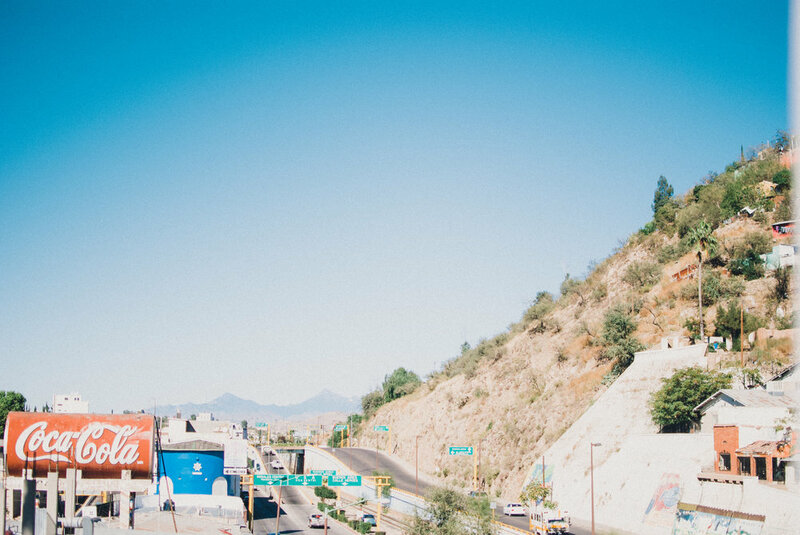 I was born in Phoenix, Arizona, but I grew up in the city of Cananea, Sonora, where my family is originally from. My photographs are characterized by a generous use of colors, and then I'll tell you a little about what has influenced my work as a photographer. I grew up in Cananea, Sonora, Mexico. Cananea is a small city located in Northwestern Mexico. 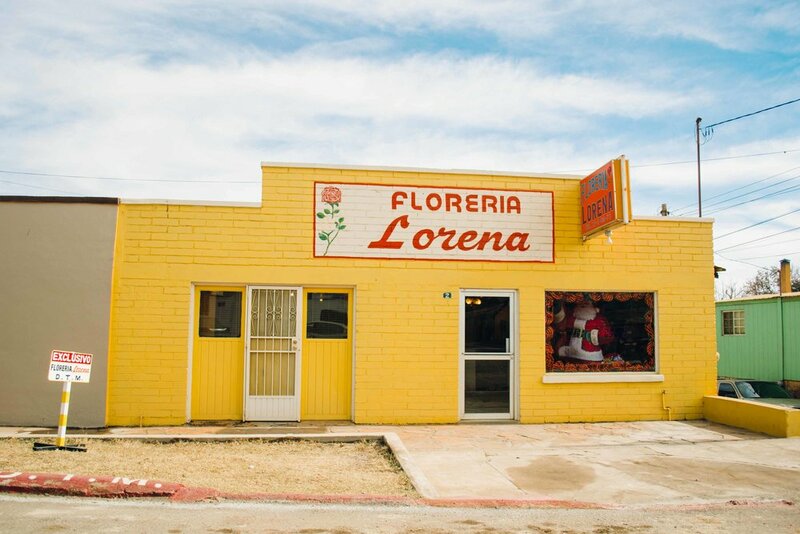 Cananea is surrounded by border towns, which are all tinted by a very peculiar, almost dusty aesthetic that you can only find along the U.S.-Mexico border. When I think about the borderlands, many images from my childhood come to mind. It is as though my memories were a mixture of Polaroid film and Kodachrome images taken with my mom’s disposable camera. 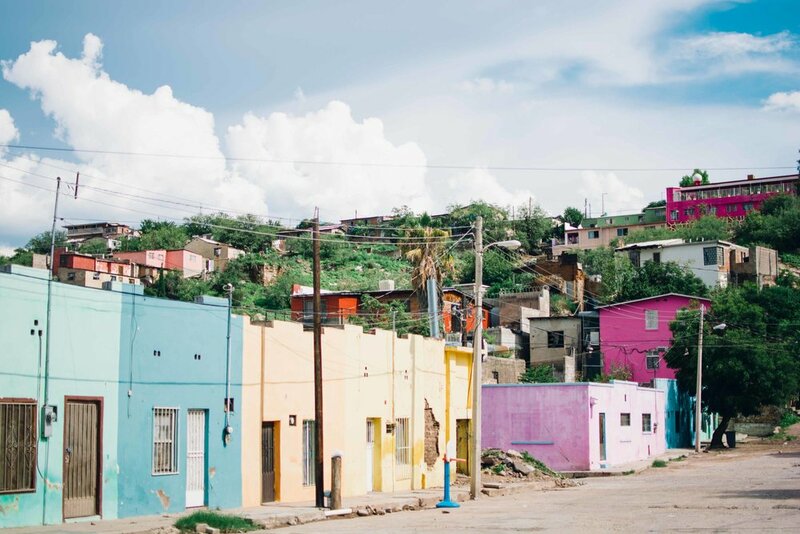 Growing up in Cananea, you’d see color everywhere you looked. Many houses were painted colorfully; you would find a hot pink house in the middle of an otherwise quiet neighborhood, or you’d see a bright green store front accompanied by branded calligraphy in the most vibrant of colors. Many local establishments were very generous with their use of color in their branding, and when I moved away it was one of the things I missed the most. I moved to Phoenix in 2005. One of the first things I discovered in the big city was that there was a profound absence of color; at least to the degree I was used to. The houses in our new neighborhood were the cookie-cutter kind. They were all painted in neutral colors, and almost every other neighborhood was the same. For a desert town, neutral colors are the best to keep houses cool in the summer. But all the symmetry and standardized perfection were not a good fit for my eclectic soul with a love for the dysfunctional and the underestimated. Ever since I was a young girl, I had a weird obsession with categorizing everything by color. You could find the shirts in my drawer neatly organized from blue, green, yellow to orange and red. The crayons in my crayon box had to be sorted in color categories. I think this color obsession was greatly influenced by my mother and aunt. Every season of the year, they would add colorful touches of decor to their homes, indicating that a new season was coming. As a child, I learned to look forward to what the new season would bring, which was always anticipated by a a change in color tonalities. When I still intended to fit into boxes, I thought that going to graduate school would be the safest way to get a job and live a happy life. While I was in graduate school, my dad fell seriously ill, and it was at that point that I questioned many of the life choices I had made up until then. After a few years in the academic world and many rather difficult life lessons, I decided life was too short to be spent in a windowless lab, and finally I decided to find out who I was and what I wanted to do with my life. A few years ago, I finally moved to Tucson, Arizona, where I currently live. Tucson is a big city that feels like a small town because almost everybody knows each other. Living in Tucson has greatly influenced my work. It definitely shows in my photos. 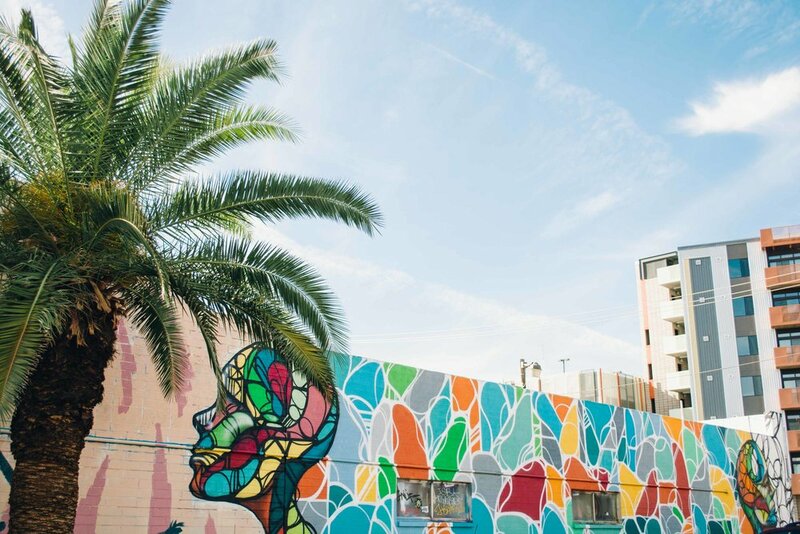 There are so many murals, colorful walls, and beautiful architecture all around us and it is simply impossible not to fall in love with the quirkiness of it all. When I look at my photographs individually, I can see a particular story being told. But when I look at my photographs as a whole, I can see myself in all of them. I think it’s similar to when you read a book or listen to a song. The first time you read the book by a certain author, you pay attention to the story. But when you continue to read books by the same author, or listen to songs by the same singer, you feel their personality. 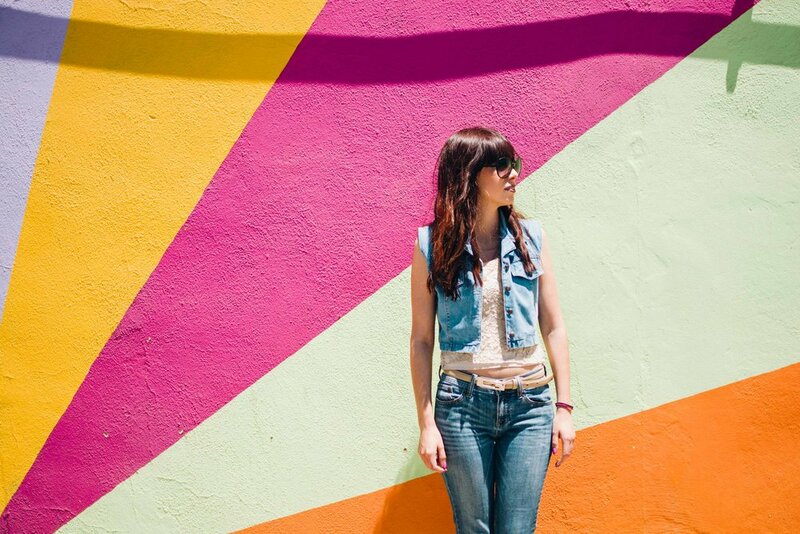 I started paying attention to color more once I began to read more about design and branding. I’m obsessed with good design and branding that tells a story. But behind all that, I think that my primary interest was trying to understand what my own work meant, and why I was attracted to the things my eye was drawn to. My photographs are a way for me to express and understand myself. It’s how I process the information that comes to me through my senses. And I personally think that we should all have some sort of art form to help us process the information that we are constantly receiving, along with how we feel about it. I definitely think there are colors in my work that are represented more than others. 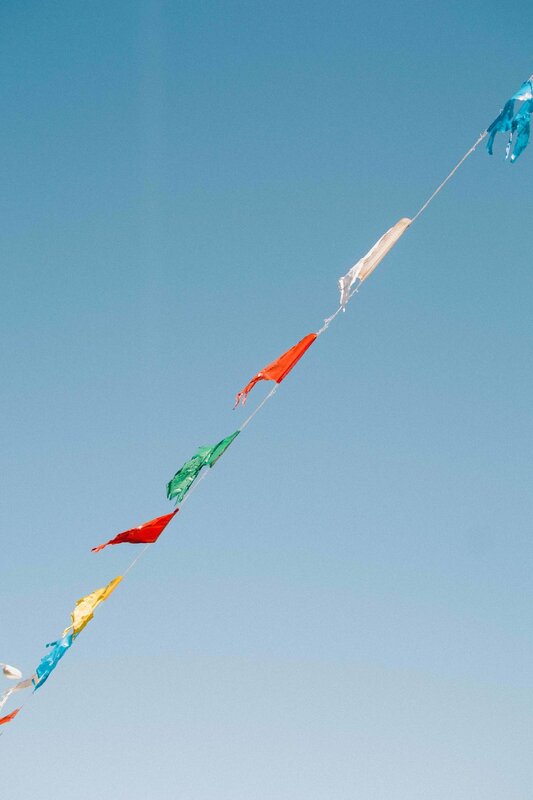 Those are the colors I photograph the most, because my eye naturally gravitates more towards those colors. I love blue skies in my photographs, and you’ll usually see me break photographic rules, just so I can have more turquoise in my photographs. I’m definitely partial to that color because it represents healing, wisdom, tranquility and creativity. I also love all the warm tonalities. I tend to gravitate towards those colors because simply looking at a yellow sunflower makes me feel happy. And there are many days where I feel we could use a good dose of happy. Before I started developing my own photographic voice, I was trying to follow trends and copying what others were doing. I don’t think there is anything wrong with that, because as artists, we are always trying to emulate those traits we value the most in other artists. However, I believe that it’s important to explore different things, different styles, and then develop our own voice. It’s important to develop our own style, our own photographic voice with its respective set of values. With so many emerging photographers, they only way to set ourselves apart is to truly be ourselves and not be afraid to express our ideas and our beliefs through our work. It’s easy to be discouraged by thinking that everything has already been said and done, but the world needs your unique perspective that only YOU can infuse to your work. I believe that by not sharing who you are with the world, you are robbing the rest of us from your distinct voice and way of seeing things. Allow yourself to not care so much about what others think, and just do the thing you love. Allow yourself to fall and to make mistakes, knowing that it’s all part of the process. Allow yourself to inspire others to be creative. Now more than ever, we need your creative pursuits in order to make our world better.